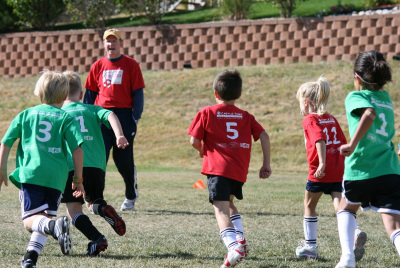 This instructional and recreational program teaches the basic fundamentals of soccer and sportsmanship. The level is based on the child's current school grade during the 2017-18 school year. Practices are held once per week at either 4:30 p.m. or 5:30 p.m. Games are held Saturday mornings in the City of Castle Pines ONLY. No practices or games are held outside of Castle Pines. Volunteer parent coaches are always needed, and select the day and time that works best for their schedules. 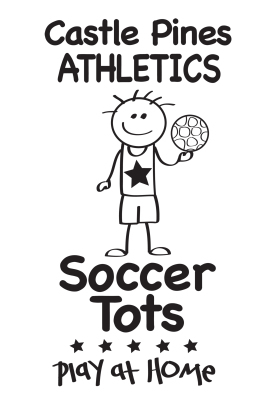 Introduce your toddler to soccer with our Soccer Tot program. Open to three-year-olds only, this fun co-ed program teaches the very basics of soccer using a host of fun games and activities designed to build confidence and keep children engaged. Each week the team has a practice and a "scrimmage." Short 30 minute games are introduced near the end of the season. *A $30 late fee applies to registrations received AFTER March 1, 2019. All practices are held in Castle Pines at one of the four neighborhood parks. Each team has one practice per week at 4:30 p.m. or 5:30 p.m., Monday - Thursday. 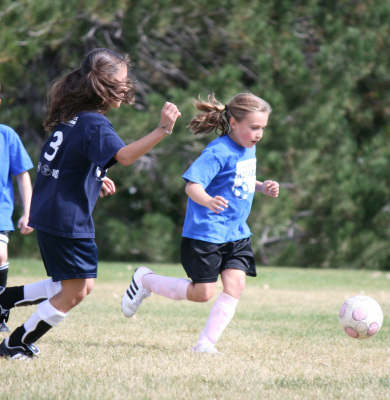 Practice times are based on field availability and determined by your child's coach. If you have a day that does not work for soccer, please list this information on the comment section of your registration form. 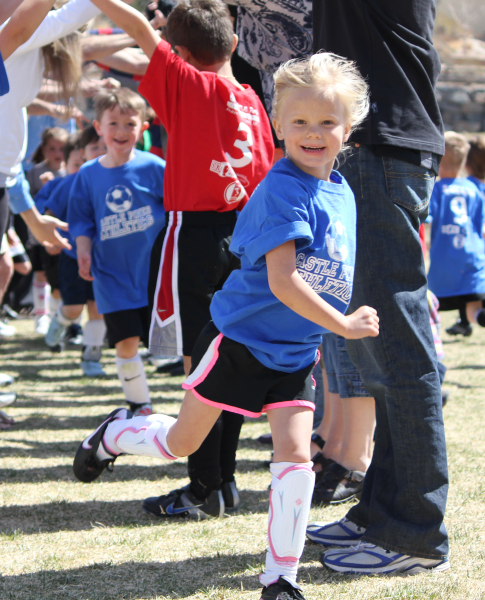 Our soccer players can play BOTH soccer and NFL Flag Football with no overlap in schedules. 1st/2nd/3rd/4th Grades - Saturdays between 12 p.m. and 2 p.m.
Lead your child's team, or sign up to be an assistant coach. Check the box on your registration form or contact us. We provide all equipment and you choose the practice day and time that works for your schedule. One practice per week at 4:30 p.m. or 5:30 p.m., Monday - Thursday. Based on field availability and determined by coach. 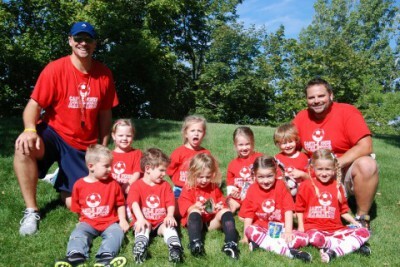 Saturday mornings at Daniels Gate Park or Retreat Park; Soccer Tots have 6 scrimmages/games during the season. Volunteer coaches are always welcome. Check the box on your registration form or contact us.